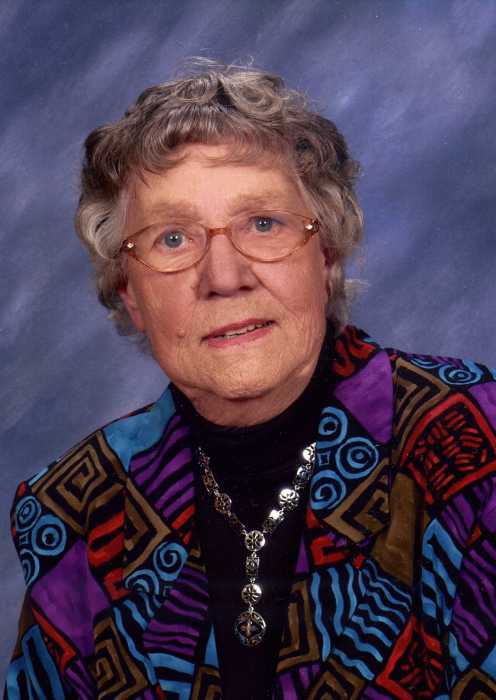 Alice Mae Carnahan, age 93, of Worthington, MN, went home to heaven on September 5, 2018, at Laurel’s Peak Hospice Center in Mankato, MN. Alice was born May 26, 1925, near Paullina, IA, to Walter and Nellie (Jurgensen) Richter. She attended parochial school at Saint John’s Lutheran Church in Germantown, IA, and graduated from Gaza (IA) High School in 1943. Alice married Donald W. Carnahan on January 2, 1944, in Sutherland, IA. After Donald returned from Naval service during World War II, the couple farmed near Paullina, IA. In 1954, they moved to Minnesota, where they continued to farm and raise their family. Alice was a member of St. Matthew Lutheran Church in Worthington, where she enjoyed sharing meals and serving in the kitchen. Alice also enjoyed old-time band music and polka dancing and thrived on the friendships those social activities offered her. She was a great cook, and was known far and wide for her baked beans, potato salad, and chocolate cakes. Getting the family together for holiday feasts was one of her greatest pleasures. She also enjoyed gardening, canning, and accompanying Don to auction sales. Alice was preceded in death by her husband Donald and first-born son Lance. She is survived by sons Donald R. Carnahan, Elysian; Lon (Linda) Carnahan, Shakopee; and Jeffery (Elizabeth) Carnahan, Sioux Falls, SD; daughters Laurita (Daniel) Roos, Worthington; Valerie (Rod) McMartin, Payson, AZ; Lanette (Randy Kruger) Schnitker, Janesville, MN; daughter-in-law Dee Carnahan, Burnsville; brothers Les Richter and Robert (Rita) Richter, Sanborn, IA; 18 grandchildren; 36 great grandchildren; and one great-great grandchild. A private family burial will be at 1 p.m. Friday, September 28, followed by fellowship at 1:15 p.m. and a memorial service at 2 p.m. at Saint Matthew Lutheran Church in Worthington, with the Reverend Mark Schreiber officiating. Dingmann Funeral Home & Cremation Services, in Worthington, is in charge of arrangements. In lieu of flowers, the family requests that memorials be sent to Sunset Hospice Cottage in Worthington.